Developed by both Gericom & Ermelber, this is a 3D based level editor meant for use with Mario Kart DS designed mainly for custom track creation. It can be used to create CPU routes, add new objects, move around objects, and generate course collision, etc. 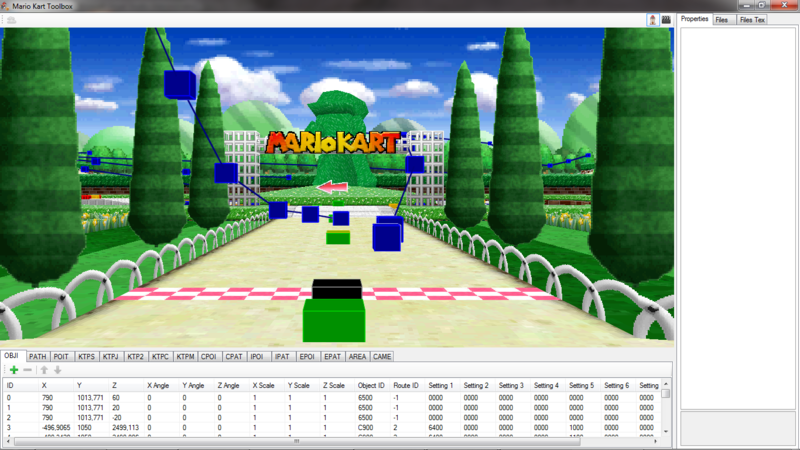 It can also be used for Kart Editing through the built in Kart Editor being able to move the position of the tires, and character on the specified Kart. Description may change over time, as the program is susceptible to updates.